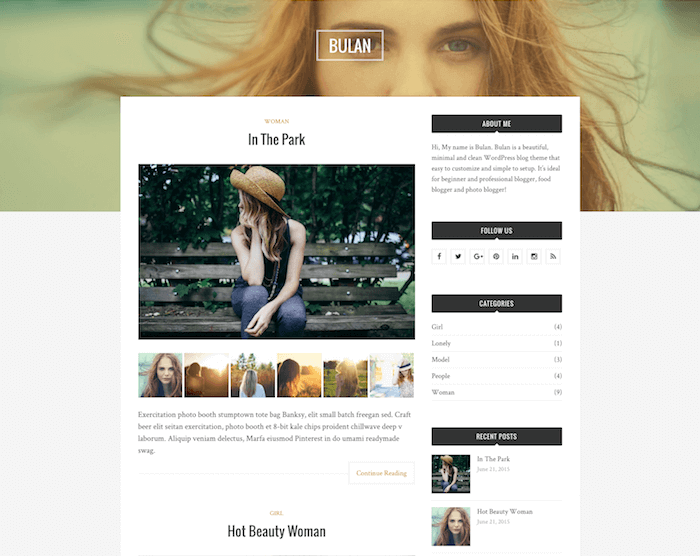 Bulan by Theme-Junkie is a WordPress blog theme suitable for all types of personal and business blogs. 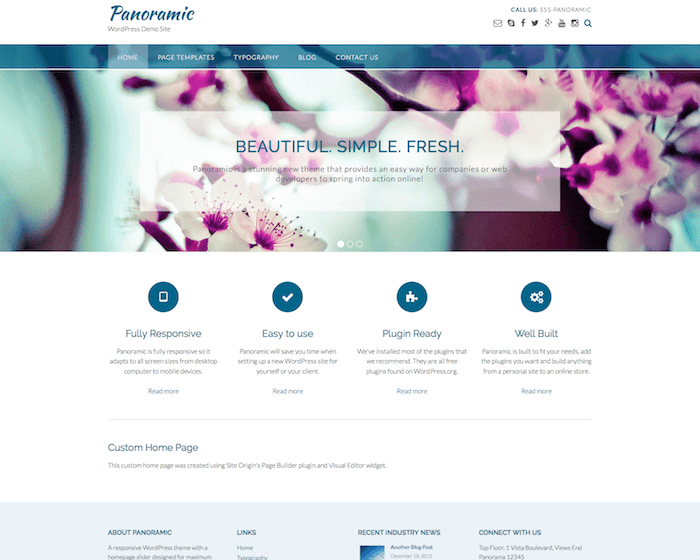 The theme implements a really beautiful design with a large image in the header background. It displays your blog posts in the most amazing way with the emphasis on the content and images. 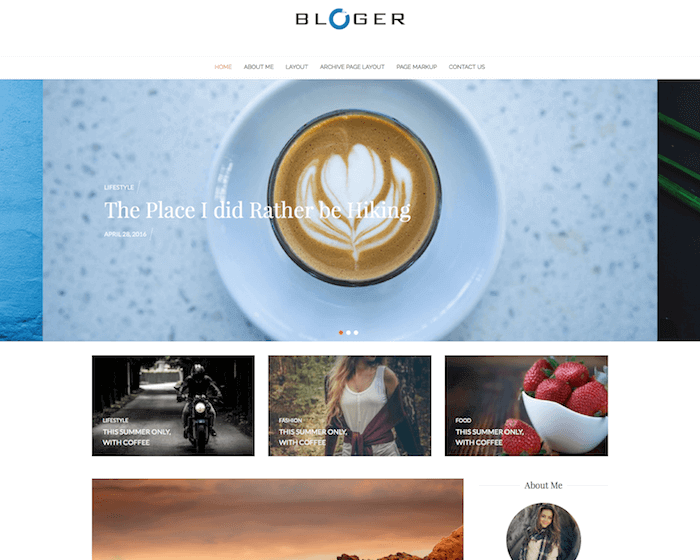 The theme is ideal for bloggers, business blogs, photography blogs, and any other type of blog. Bulan also features a gallery page where you can store and display your website pictures. It offers multiple page layout options, including full-width layout, left sidebar, and right sidebar layouts. Bulan has been designed to feature a fully responsive design layout compatible with all standard devices, browsers, and screen sizes. The theme has also been optimized to display on retina devices. With this theme, you can be sure that your website or blog will appear equally beautiful on any device and platform. Bulan integrates different types of display styles, including grid-view, tiled-view, popup, slideshow, etc. All these styles work perfectly on any device or screen size. The theme also offers 3 different homepage layouts, including grid layout, standard, and list layout. You can choose a homepage layout that best suits the style and content of your blog. 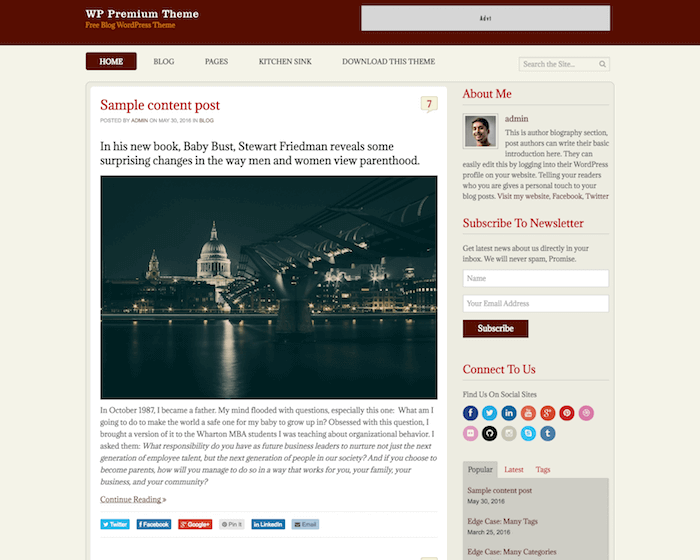 In addition to the integrated Wordpress widgets, Bulan theme also provides support to some other useful widgets, including social icons, Facebook like box, and recent posts thumbnails. You can easily enable any of these widgets from the admin panel of your website. Bulan is also attuned with all major plugins including Jetpack that gives you access to various advanced design and setting options. Even more functions and features can be enabled with the use of right plugins from the plugin manager. Bulan theme is particularly ideal for image or photograph rich websites. The theme is designed to provide extra emphasis on the content, specifically on the images. It even features a dedicated gallery page where your users can access and see your blog images in an attractive popup slider format. You can enable even more image customization and design options with the help of plugins.